Arraignment (also known as an “Initial Appearance”) – In most cases, the arraignment takes place in front of a Judicial Magistrate or Tennessee Judge. An arraignment is a procedure that occurs before a hearing date in the General Sessions Court. If a defendant is in custody, an arraignment may occur at the jail via a video teleconference. An arraignment will also take place in Criminal or Circuit Court after the return of an indictment or presentment. BLAC / BAC – A measurement of the amount of alcohol present in a person’s blood, also referred to as Blood Alcohol Content. See also Chemical Test below. BLAT / BRAT – Blood Alcohol Test (BLAT) and Breath Alcohol Test (BRAT) are types of tests designed to measure a person’s Blood Alcohol Content. See also Chemical Test and BAC. Boating Under the Influence (BUI) – Much like a DUI, a person in Tennessee may be found guilty of Boating Under the Influence (BUI) if he or she operates a water vessel (typically a boat) with a BAC greater than .08% or while under the influence of any intoxicant. Breathalyzer – In Tennessee DUI cases, law enforcement officers in some counties use this device to determine a suspect’s Blood Alcohol Content (BAC). The Intoximeter EC/IR II is the device most used by law enforcement agencies in Tennessee. Chemical Test – Includes any test used to ascertain the alcohol and/or drug content of a person’s blood. In Tennessee, an officer may ask a suspect to submit to a blood, urine, and/or breath test. The type of test is determined by the officer and usually follows guidelines established by that officer’s law enforcement agency. Criminal Court – Also known as Circuit Court in some jurisdictions, it is the highest trial court in Tennessee. All criminal jury trials take place in a Criminal Court. Diversion (Judicial / Pretrial) – Depending upon the facts and circumstances of a case, a defendant may be eligible for either Judicial or Pretrial Diversion. Even if eligible, a judge must agree that Diversion should be granted in each case. Pretrial and Judicial Diversion allow a case to be dismissed after a period of time if the defendant completes certain conditions. Even though dismissal is typically a positive resolution in a case, Diversion may not be in the best interest of a defendant. 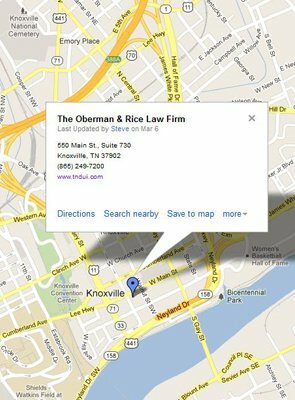 Therefore, diversion should be thoroughly discussed with a Tennessee defense lawyer. The offense of Tennessee Driving Under the Influence (DUI) is not eligible for any type of diversion. DUI Court – As in many other judicial districts of Tennessee, Knox County (Knoxville, Tennessee) devotes one division of the General Sessions Court to the prosecution of Driving Under the Influence (DUI) cases. This court is typically referred to as “DUI Court.” The assistant district attorneys assigned to DUI Court receive special DUI training. DUI School – As a condition of a DUI conviction, a defendant may be ordered to attend a DUI School. The goal of DUI School is to teach DUI offenders about the risks associated with driving under the influence. 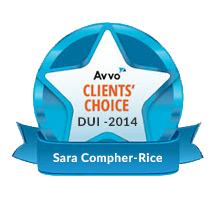 Driving While Impaired (DWI) – In Tennessee and across the country, the term DWI (e.g. Driving While Impaired or Driving While Intoxicated) is often used synonymously with DUI (Driving Under the Influence). The offense of Driving While Impaired no longer exists in Tennessee for adult drivers, but an individual, under the age of 21, may be charged with the offense of Underage Driving While Impaired, which is also commonly referred to as Underage DWI. The legal BAC limit for an underage driver is .02%, which is much lower than the .08% legal limit for an adult. 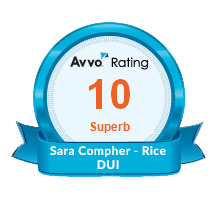 Moreover, the consequences and penalties for a DWI are much different from those that result from an “adult” DUI. 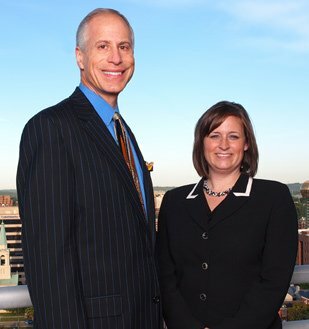 Accordingly, a Tennessee DUI lawyer should be consulted in order to best identify possible defense strategies. Felony DUI – After three convictions for Driving Under the Influence, a fourth or fifth DUI is a Class E Felony Offense (minimum jail sentence of one year) in Tennessee. As of July 1, 2016, a sixth or subsequent DUI is a Class C Felony Offense (minimum jail sentence of three years) in Tennessee. A Felony DUI conviction will result in harsher punishments and, as is the case with all felonies, the loss of many constitutionally guaranteed rights. Field Sobriety Tests (SFSTs or FSTs) – Tennessee law enforcement officers typically administer field sobriety tests in order to evaluate a suspect’s physical coordination as part of a Tennessee DUI investigation. The tests may either be non-standardized (FSTs) or standardized (SFSTs). SFSTs are certified by the National Highway Traffic Safety Administration (NHTSA). General Sessions Court (Sessions Courts) – General Sessions Courts in Tennessee possess the authority (also known as jurisdiction) to address both civil and criminal cases. The Sessions Courts, however, may only settle civil cases under a certain dollar amount and misdemeanor criminal offenses. DUI cases in Tennessee typically commence in General Sessions Court, and in Knox County, most DUI cases will begin in DUI Court. Grand Jury – In Tennessee, the Grand Jury meets in secrecy. Thirteen citizens sit on a Grand Jury, with one person elected to be the foreperson. The primary responsibility of the Grand Jury is to determine if probable cause exists to indict or present a case to the Criminal Court. A Tennessee DUI may be reviewed by a Grand Jury. Habitual Motor Vehicle Offender (HMVO) – The Motor Vehicle Habitual Offenders Act provides that drivers convicted of certain offenses within specified time periods will be classified as Habitual Motor Vehicle Offenders. Anyone classified as an HMVO will lose his or her license for a period of at least 3 years. Please click here for more information about HMVO. Horizontal Gaze Nystagmus (HGN) – Classified as one of three Standardized Field Sobriety Tests (SFSTs) by the National Highway Traffic Safety Administration (NHTSA), the HGN test is used by law enforcement agencies across Tennessee. Nystagmus is the involuntary jerking of the eye, and the presence of HGN may be an indication of intoxication. However, there are many causes other than intoxication that may induce nystagmus. Ignition Interlock Device (IID) – The device connects the ignition system of a motor vehicle to a breath-alcohol analyzer. The purpose of an Ignition Interlock device is to prevent a driver with an unacceptably high blood alcohol level from starting his or her motor vehicle. A person convicted of a Tennessee DUI may be required to install an IID in his or her vehicle. Implied Consent / Chemical Test Refusal Violation – By law, every citizen in Tennessee is considered to have consented to a Chemical Test when they obtain a driver license. In many circumstances, however, Tennessee law also allows for people suspected of Driving Under the Influence (DUI/DWI) to refuse a Chemical Test. A refusal to submit to a chemical test will likely result in a violation of the Tennessee Implied Consent law. In general, a Tennessee Implied Consent violation may call for penalties such as the loss of a person’s license. In some instances, a refusal may also result in jail time. KPD (The Knoxville Police Department) – The jurisdiction served by the Knoxville Police Department is the City of Knoxville. KPD commonly makes arrests for DUI and other related crimes within the city limits of Knoxville, Tennessee. KCSD or KCSO – The jurisdiction served by the Knox County Sheriff’s Department, also referred to as the Knox County Sheriff’s Office (KCSO) is Knox County. KCSD commonly arrests individuals for DUI and other related crimes within the Knox County, Tennessee. Litter Pick-Up / Litter Removal – Prior to July 1, 2016, this was a mandatory penalty. Now, it may be ordered as a penalty at the discretion of the court. 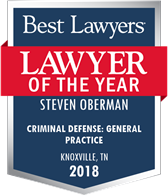 Misdemeanor DUI – A first, second, or third DUI offense in Tennessee will be classified as a misdemeanor (maximum jail sentence of 11 months, 29 days), but each offense demands different, mandatory minimum penalties. One Leg Stand (OLS) – Classified as one of three Standardized Field Sobriety Tests (SFSTs – see above) by the National Highway Traffic Safety Administration (NHTSA), the OLS test is used by law enforcement agencies across Tennessee. OLS is designed to test a person’s physical coordination. 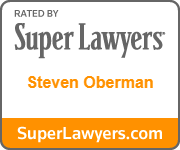 “Per Se” DUI – Sometimes referred to as the “legal limit” in Tennessee, as well as many other states, the per se limit of blood alcohol concentration is the amount at which Tennessee DUI law mandates that a person is Under the Influence of alcohol. The per se limit for a Tennessee Driving Under the Influence (DUI) charge is .08% for people over the age of 21 and who are not in control of a commercial motor vehicle. The per se limit for people under the age of 21 and those driving a commercial motor vehicle is lower than .08%. Preliminary Breath Test (PBT) – A Preliminary Breath Test is a portable device used by law enforcement officers to determine a person’s Blood Alcohol Content (see above) while in the field and often at the side of the road. When a law enforcement officer administers a PBT, a suspect is asked to give a breath sample. The breath sample is then analyzed by the PBT and the result is part of a Tennessee DUI investigation. Restricted Driver’s License – When a person’s license is revoked, a restricted driver’s license may be obtained under certain circumstances. 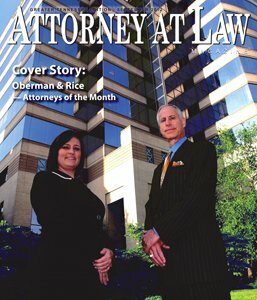 A restricted driver’s license is sometimes referred to as a “hardship license” or a “conditional driver’s license,” but no matter the name, such a license allows a person to drive to and from predetermined locations, such as work, school, or a place of worship and only during specific days and times. Secure Continuous Remote Alcohol Monitor (SCRAM or SCRAMx) Device – The SCRAM device is designed for transdermal alcohol monitoring. It is an ankle bracelet that measures alcohol consumption by analyzing the perspiration constantly renewed on a person’s skin. Sobriety Checkpoint or Roadblock – By statute, only the Tennessee Highway Patrol may establish a roadblock or checkpoint in order to determine if motorists possess valid licenses. All Tennessee law enforcement agencies may set up roadblocks or checkpoints to investigate drivers for Driving Under the Influence (DUI/DWI), but the checkpoints or roadblocks must be established at preapproved locations. SR-22 Insurance – The term “SR-22” is frequently referred to as a type of high risk insurance, but it is actually the name of the form that provides proof of automobile insurance (future financial responsibility). Nevertheless, a person convicted of a Tennessee Driving Under the Influence (DUI/DWI) charge and many other, related offenses will be required by the Tennessee Department of Safety to file an SR-22 Insurance Form in order to obtain a restricted or permanent driver’s license. Tennessee Highway Patrol (THP) – Tennessee Highway Patrol Troopers serve the entire state of Tennessee. THP makes arrests for DUI and related offenses in Knox County and throughout the state. University of Tennessee Police Department (UTPD) – The University of Tennessee Police Department is an independent, accredited police agency and is not a branch of the Knoxville Police Department. UTPD frequently makes arrests primarily on and around the University of Tennessee campus for DUI and related offenses. Victim Impact Panel (VIP) – Victim Impact Panels are programs sponsored by MADD (Mothers Against Drunk Driving). In addition to other requirements that result from a Driving Under the Influence (DUI/DWI) conviction, a judge may order that a criminal defendant attend a VIP. During a VIP, victims of drunk driving discuss how the crime of DUI has affected their lives and the lives of their families. Walk and Turn – Classified as one of three Standardized Field Sobriety Tests (SFSTs) by the National Highway Traffic Safety Administration (NHTSA), the W&T test is used by law enforcement agencies across Tennessee. The W&T test is designed to test a person’s physical coordination. Work Release – In certain situations, a work release order allows a person to leave jail and continue to work at the person’s place of employment. A person otherwise serving jail time for a Driving Under the Influence charge, may be granted such an order.